Choosing a bank can be a big decision. If you’re planning to bank overseas, you also have to determine the country in which you would like to have an account. 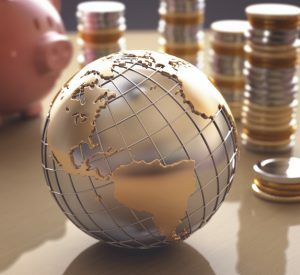 There are certainly plenty of choices available, but Belize banks are routinely considered to be among the best in the world. Find out why a Belize bank account could be right for you as well as what advantages banking in Belize can bring. One of the first things many potential account holders look for is a way to reduce tax liability. This should always be done in a legal way, which is why it is so important to take a closer look at the tax regulations and liabilities of offshore destinations. Belize is an example of a country that has very favorable tax laws for foreign investors. Simply by investing or holding assets in Belize, you may be able to spend less on taxes every year. A reserve requirement is the legally stipulated percentage of total assets that a bank has to have physically on hand at any given time. The higher the reserve, the more stable a bank is. For those who are planning to open accounts, stability is definitely a priority. In Belize, all banks have to meet stringent reserve requirements. In fact, the reserve requirements in Belize are three times higher than they are in the United States. This makes banks in Belize a secure and safe option for customers. One of the reasons to bank overseas is to enjoy a wider range of currency types. Diversification is an objective for many, but it is worth noting that the Belize dollar also comes with an extra bonus. Since the Belize dollar is pegged to the U.S. dollar, exchange rates are typically static for these two currency types. If your primary investments are in either or both of these currencies, then banking in Belize is the logical choice. When choosing a bank, many individuals are curious about what kind of costs might be involved. Most account holders or borrowers will encounter expenses for things like monthly or annual fees, loan application fees or fund management fees. These will all naturally be lower in locations where overhead and labor costs are lower. In Belize, banking costs can be very low. This is especially true when compared to America, Asian or European banking fees, which can be significantly higher. At the end of the day, a bank is only as good as the range of services that it offers customers. Thankfully, banks in Belize rank as some of the best in the world for precisely this reason. Just some of the services you might enjoy include personal financing, prepaid debit cards, corporate lending, lifestyle accounts, demand deposits, term deposits and secure online banking. Caye Bank is an example of a Belize bank that is popular, has a solid reputation and ensures that all customers have the financial services they need to thrive. Contact us to discuss your Belize banking options with Caye Bank. This entry was posted on Thursday, February 9th, 2017 at 2:17 pm	and is filed under International Banking. You can follow any responses to this entry through the RSS 2.0 feed. You can leave a response, or trackback from your own site.